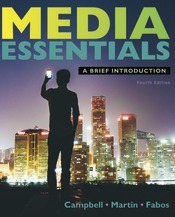 While we all use digital technology daily, many of us don't realize how text, audio, and visual media converge together to enhance our everyday experiences. 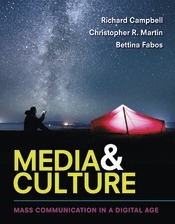 The new edition of Media & Culture: Mass Communication in a Digital Age enriches students' understanding of these experiences – a skill that has become more important than ever. 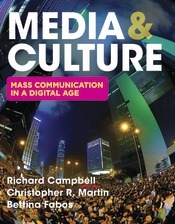 Media & Culture starts with the digital world students know and then goes further, focusing on what these constant changes mean to them. 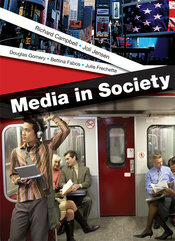 Through new infographics, cross-reference pages, and a digital jobs feature, the book explains and illustrates how the media industries connect, interlock, and converge, Media & Culture brings together industry expertise, media history, and current trends for an engaging, exhilarating look at the media right now.